Mega Roach Gutload is a combination of natural, organic foods and important micronutrients captive animals need and get in abundance in the wild but often lack in captivity. It is intended to prevent or address nutritional deficiencies by providing nutrients in forms similar to those animals get from consuming insects in the wild. This is no ordinary roach gutload! Mega Roach Gutload delivers a nutrient-rich, densely packed meal with many of the vitamins, minerals, and macro and phytonutrients insectivorous animals need for optimum health. Our goal is to make eating a Mega Roach Gutload-loaded insect to be as close as possible to eating an insect whose last meal was foraged detritus from the forest floor, leaf bolus from a bush growing along a warm sandy shore, or scavenged wild grasses growing from under a desert rock. However, we also want to address the deficiencies of captivity. We do this by combining some of the most nutrient dense ingredients from our Maximum Nutrition Everyday Roach Ration roach chow with a nutritious base, then adding ingredients that provide the vitamins, minerals, and other substances generally known or considered to be deficient in captive reptiles, amphibians, and arachnids. We provide the biggest nutrient boost we can with foods in whole form, and only after we reach that limit do we add supplemental vitamins and minerals. We believe the result is a roach gutload that provides not just single micronutrients in massive doses, but the entire range of those nutrients as they might exist in nature. Rather than just the addition of calcium carbonate, for example, Mega Roach Gutload also contains calcium in natural form from flaxseed, soy, and alfalfa. Rather than just beta carotene, Mega Roach Gutload contains a multitude of carotenoids from dried carrots and kale. Rather than just vitamin E, it contains gamma-tocopherol from walnuts and alpha-tocopherol from almonds. You get the idea. Keep in mind that Mega Roach Gutload is a true gutload. It is not a vitamin-enhanced food for feeder insects and it’s not designed to raise or sustain roaches. 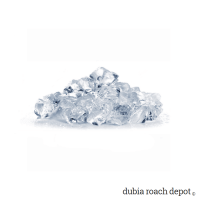 The nutrients it contains are solely designed to improve and maintain the health of your animals without consideration for the nutritional needs of the roach. Roaches should be raised on a standard roach chow or other appropriate diet, then gut-loaded before feeding. 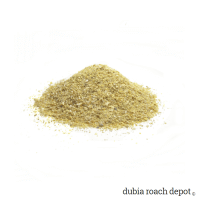 For the best results, use Mega Roach Gutload on an already healthy stock of feeder roaches. Feed it and nothing else to the roaches at least one day before they become a meal for your animals. It may be necessary to separate the soon-to-be feeders from the colony while gutloading because Mega Roach Gutload is less palatable than their normal roach chow, and they might choose their regular food instead if given that choice. There is research suggesting that for Dubia roaches, a two or three day period of gut loading may be better than one. Dubia roaches have an unusually long digestive tract, and they can maintain food in their stomachs for up to three days. Loading their guts days in advance is something you can consider when deciding on a gut loading strategy. You can even gutload them for up to a week or so if you really want to bump up the nutrients for your herps, but remember that Mega Roach Gutload is not designed to be healthy for roaches, and roaches fed MRG solely may begin to decline over a period of time. We think the best sources of nutrition for captive animals are the same or similar whole plant materials the insects they eat naturally consume living out in the wild. While that’s not practical in captivity or in a time-sensitive gutload situation, we believe these principles can be carried forward to create a better insect diet and gutload products. The evolution of insectivorous reptiles, for example, included eating raw and partially digested vegetation with almost every meal. We extrapolate that insectivorous reptiles need some amount of vegetation for optimum health, and that the bioavailability of nutrients are likely at least in part dependent on insect digestion. It doesn’t make any sense that herps would eat insects with guts full of partially digested plant matter and not get anything from it, and that seems to be confirmed by the amount of health problems captive herps face. Something is missing from their diet, and in the case of vitamin D, their environment. Health is fragile, and nutrition is a package deal. Human studies have determined that carotenoids are highly protective against cancer in smokers, for example, but if you give smokers beta carotene they get MORE cancer. Food is a package deal, and nutrition is very complex. All of the ingredients in Mega Roach Gutload are chosen based on available nutrition data from herpetological and other scientific research. The nutritional properties of every ingredient is researched and tested in our own B. dubia colonies, and all of the ingredients we add are organic. Mega Roach Gutload is a premium organic gutload with a nutritional profile designed to compliment to our Maximum Nutrition Everyday Roach Ration. 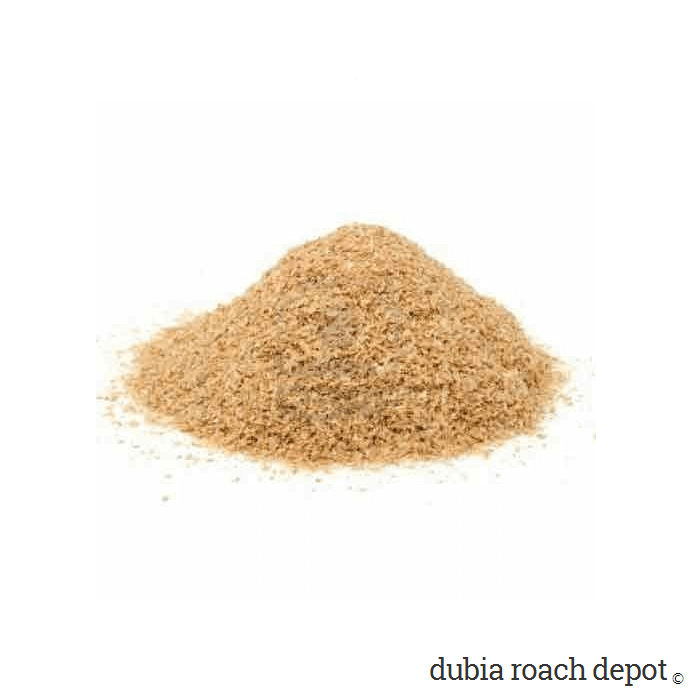 It can be used on its own to gutload any kind of roach as well as other feeder insects like crickets. We believe it is far superior to the chow store bought insects are fed. We developed Mega Roach Gutload for our own animals. It’s the only product we use, and our animals have been and continue to be free of any diet-related health problems. You guys ship FAST! I placed an order and a few hours later I got an email saying my order was shipped. The roaches look great and I’m very happy with my order. I will shop here again and I wanted to put in a good word for Dubia Roach Depot. I am very pleased with my shopping experience and I will be back.